The Nordic crate tray has a trug design and is made from whitewashed acacia wood with an appealing natural finish. 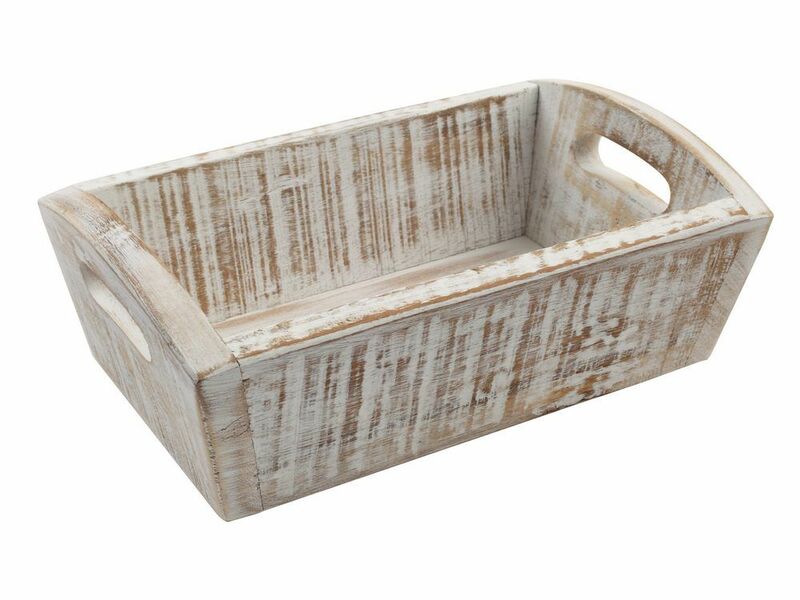 With a chunky look, carry handles and a tray like floor and painted with distressed white finish. This open kitchen crate is a stylish way to store, carry or display your loose items. Matching Nordic whitewashed wood storage items are also available.